Stian took control of his life after years of fast food sabotage. The South African rehabbed from two broken arms, lost 24 percent body fat, and competes at an elite level! I used to be a star athlete in school and competed on a national level in track and rugby. My specialty was the 400-meter hurdles. I competed until I was about 24 years old and then took over a business. We accepted the offer, but didn't know we were being dumped into huge amounts of debt. My wife and I worked hard and put in 80-90 hours of work per week. During those years, we ate plenty of takeout and junk food. Two years later, we sold the business and I started working for an insurance company. In 2004, I started my own practice as a financial advisor. Meeting clients all day every day, entertaining them, and working long hours took its toll on my body. My children were born shortly after, 18 months apart, and I became the local dustbin after meals. How can you afford to leave food on a plate if millions of children in Africa are dying of hunger? In August 2011, I realized my life was out of control. I worked out at the gym, but didn't see the results. I knew I had to work with my strengths. One of my best strengths: if I set a goal, I will achieve it. Two things were important to me; setting a goal and being accountable through a trainer who knows what they're doing. One of my clients introduced me to Wayne Price, who competed in World Strongman competitions and is the current IFBB president in South Africa. He had a good track record of training people at his own gym. 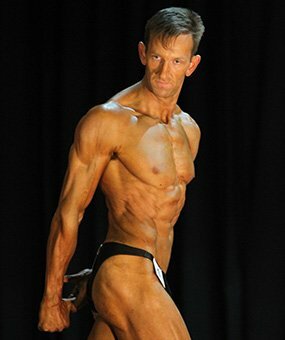 I set a goal to compete in the IFBB men's Fitness division at a novice show in April 2012. 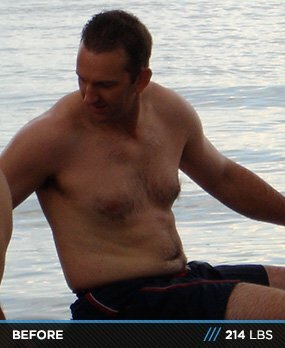 I lost 12 percent body fat in four months and then tragedy struck. On February 10, 2012, I ran into a wall at my children's athletics competition and broke both my arms as I tried to stop against the wall. I was on disability for six weeks and couldn't compete. I realized long ago that what happens to you isn't important; it's how you react to it that matters. That was one of the best times of my life. I lowered my expectations and had a great time. My left arm had to be operated on and the tendons were a bit damaged. My therapist said I wouldn't be able to extend it fully for a year, which put me out of the fitness division. 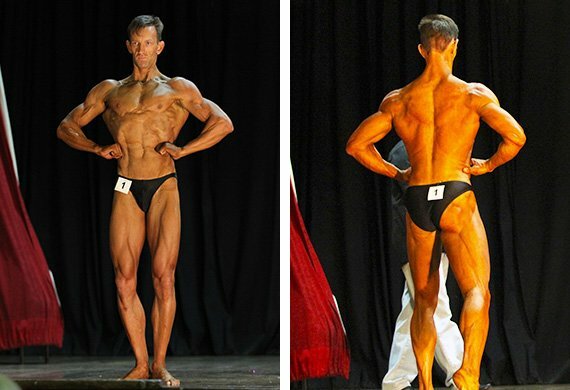 Wayne and I went back to the drawing board and set a goal for the classic bodybuilding division at the Provincial Competition in August 2012. After 12 weeks of rehab, I was back in the gym. I went into the competition without knowing what to expect. I competed against guys with years of experience. To my surprise, I placed second and was chosen to compete at the national championships after training for a year with a break. Unfortunately, I got severe bronchitis and had to withdraw, but I set new goals for next year that will keep me on edge. My wife is a pillar. As a musician, it was difficult for her in the beginning, but now that I'm through the first cycle, it motivated her and many of my friends and colleagues at work to take their health and fitness seriously. To accomplish my goals, I had to make training a priority. With a busy work schedule of 60 hours per week, I had to wake up at 4:30 a.m. to be in the gym by 5 a.m. every morning, six days per week. I love training, but the 12 weeks prior to competing was one of the toughest things I ever went through mentally. I got through by having a good cheat meal once per week and banished all candy and cookies out of my house. I'm grateful for my wife supporting me in this. Wayne Price (my trainer) also kept me motivated because he went through it before. I also pronounced my goals to my family and friends. When I hit a wall, I reminded myself of the verbal commitment. The monotonous eating was a challenge in the beginning, but during my pre-competition phase, it was difficult eating on a strict diet while friends and family had scrumptious meals. I overcame it by focusing on my goal and telling myself that I came too far to give up now. My training partner also helped me stay focused. My goal for next year is to be chosen for the IFBB South African team competing in the World Classic Bodybuilding Championship. Bodybuilding.com helped me by supplying incredible articles so I could see others succeed. It gave me hope that in due time, I would transform also.